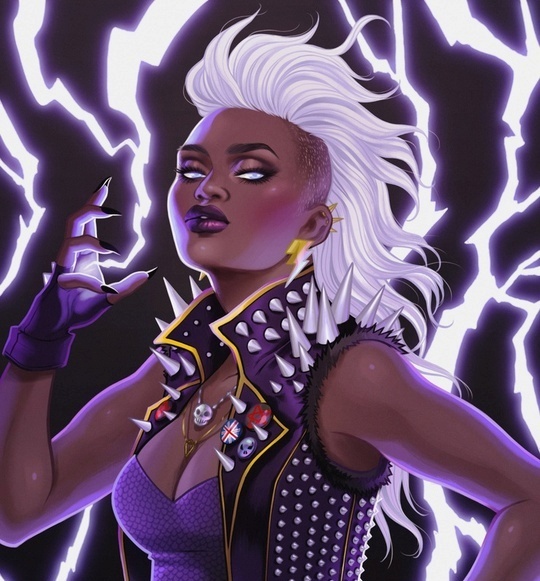 With Image Comics series, Blackbird, in full flow this is a good time to throw some love at series co-creator (alongside Sam Humphries), Jen Bartel’s art. Isn’t her work just beautiful? We are in an era of comics when the industry has a direct line to new talent through the internet. Bartel is a prime example of how talented artists can produce fan art for their Tumblr pages, get noticed, and soon find themselves with regular work from major publishers. This has been great for us comic fans because a regular influx of new young artists with varied backgrounds means we get to enjoy some of the most exciting art the industry has ever seen on a monthly basis. I remember certain periods where mainstream comics were uncomfortably far behind the curve where design and fashion were concerned. Often this was simply because ever artist was a middle aged guy who had stopped noticing fashion and design a long time ago. Look at any of Bartel’s covers or character work. Lovely colour palette’s, contempory design, diverse characters, fashionable hair and clothes. All the stuff that is really important for attracting new readers. It is impressive to see how smoothly Bartel has moved from fan art to cover artist to producing quality, consistent work on a monthly comic. Some great artists never move out of cover artist territory. So, what is Blackbird all about?